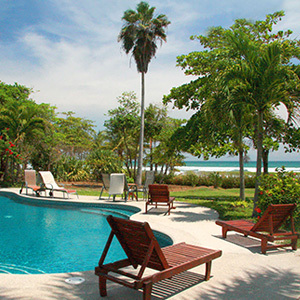 Tropisphere Real Estate of Costa Rica sells properties throughout Costa Rica, but specializes in the Southern Nicoya Peninsula, Costa Rica, a region offering beautiful properties at attractive rates, appealing incentives for investment and a friendly international community. 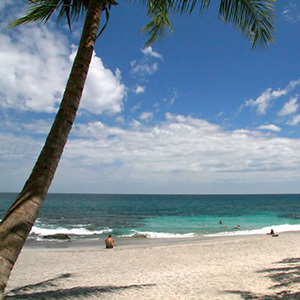 Our area of focus includes Montezuma, Malpais, Santa Teresa, Tambor, and Cabuya. Here you will find everything from simple family homes and farms to spectacular ocean view and beachfront homes and lots, luxury villas and resorts. We are a professional, fun and informative company. 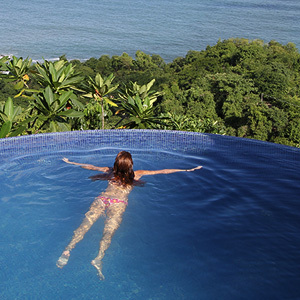 Let your dream of living or investing in Costa Rica begin with us! Tropisphere is not just an ordinary real estate company. We are actively involved in helping to improve our community through both our labor and donations. 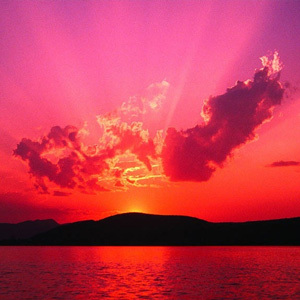 We feel that living in Costa Rica is a gift, and all foreigners here should express their gratitude by giving back. 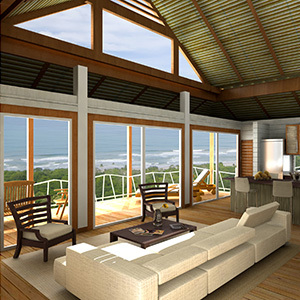 Tropisphere, S.A. is a registered real estate company in Costa Rica. All material presented in this web site is the property of Tropisphere, S.A. and is protected by copyright law. Christina, a Colorado Native came to Costa Rica nearly 5 years ago and fell in love. She fell in love with the culture, people and the way of life. 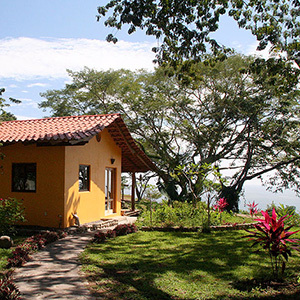 She went back to Colorado and decided to sell her house and bring her construction consulting business to Costa Rica. 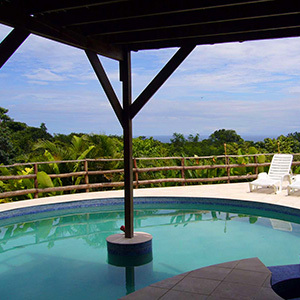 Having a background in legal, construction and mediation, she has been able to use these skills to negotiate the Hottest Deals for clients and walk them through all of the legalities of owning property and living in Costa Rica. Never an unsatisfied buyer, Christina will find the best deal for you whether you are looking to spend $25,000 or $2 million. Initially working with a competing agency, Christina jumped at the chance to become an owner and partner of Tropishere. Christina prefers to work with the Average Joe, rather than the multibillion dollar condo developers to insure the sustainability of her community. She prides herself in bringing great people to a great place. Christina also helps clients with post purchase services such as property and construction management. Christina has started and worked with several non-profit organizations. Her previous company Construction Network helped to set the standard in credit, risk management, and accountability in the construction industry. Christina is bilingual and spends her time with her friends and two dogs, Guapo and Quilo (now the official mascots of Tropisphere.) When not busy working with Tropisphere, Christina is at the beach, attempting to fish or surf as well as learn to fire dance (The most important word here is attempting). She also suffers from a travel bug, always wanting to travel the world. Christina Gut is from the Lake of Constance area in South Germany, but has been living in Montezuma, Costa Rica since 1997, over 15 years. After having studied English and French and getting a degree as a foreign correspondent, she decided to deepen her French language skills and lived for nearly a year on the island of Martinique, a French overseas territory on the Caribbean islands. Shortly before, she had moved for several months to Italy in order to learn the Italian language. Afterwards she joined a company in Switzerland, mainly active in motorsports racing business where she worked for five years as assistance of the management, translator and travel coordinator. She decided she had enough of the cold, long winters in Germany and went for a visit to Central America, ending up in Costa Rica, where she immediately made friends and loved how the different cultures and nationalities mixed without prejudices, but of course the main thing was the climate and proximity of the ocean! Consequently she learned Spanish, then worked in tourism and managed two well-known hotels in Montezuma. In 2005 she joined Tropisphere and ever since has been working as vacation rental specialist and real estate agent. Christina writes and speaks fluently 5 languages – German, English, French, Italian and Spanish. Geoff was raised in Seattle, Washington, and graduated from The Evergreen State College, in Olympia, before getting a Master’s degree in Physics from the University of Central Florida. After that, he started his first business, Seventh Sense, designing and selling jewelry and gift products, which gradually grew into a $6 million per year enterprise, manufacturing in many countries in Asia, and selling worldwide. For three years during that time, he also owned and operated a chain of 30 retail stores, called “The Mountain” which were based in the New England area. He sold the company to his partner and moved to Costa Rica. Geoff has been interested in real estate and the creation of communities since he was a child. His great grandfather built the famous Mexican surf town of San Miguel in Baja California, where Geoff spent a lot of time when he was growing up. His great, great grandfather, Robert McFadden, built a railroad and founded the town of Newport Beach, where McFadden Wharf and McFadden Avenue are still named for him today. Geoff was raised on stories about these men, and has their experiences in mind while living in Costa Rica and playing a part in the growth of the communities of Montezuma and Malpais. Geoff has dedicated himself to the conservation of Costa Rica’s wildlife and improving the lives of its poorer citizens. He is immensely grateful to the people of Costa Rica for allowing him to move to the most beautiful country in the world and raise his daughter, Serafina, who was born here. He is a founder of Rainsong Wildlife Sanctuary in Cabuya, which is working on reforesting and protecting and reintroducing animal and bird species that have become extinct in our part of Costa Rica. He is also the instigator of Tropisphere’s policy of donating a portion of its commissions to support the local community. When not working on Tropisphere business, Geoff can be found searching the jungle for orchids, photographing birds, playing with snakes or scorpions, studying green building, working on his websites www.malpaisbeach.com and www.montezumabeach.com, attempting to surf, or practicing firedancing.